The Super Bowl may be over, but this tasty salsa is great for snack time, to put on top of tacos, a family get-together, or to nosh on while you watch the winter Olympics! I like to serve it with whole grain tortilla chips, pita chips, or even with thick cuts of cucumbers or celery! 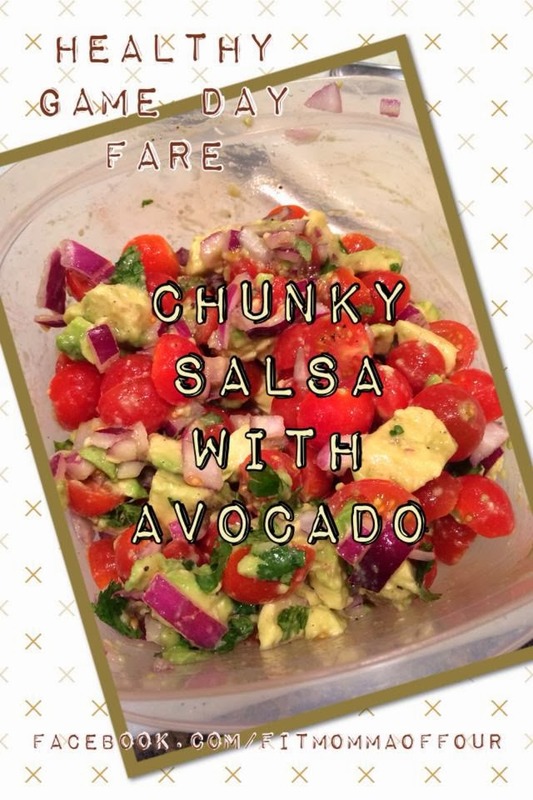 To make this I diced 1 ripe avocado, half or quarter 1 pint cherry tomatoes, dice 1/2 red onion, tear a handful of fresh cilantro, & squeeze the juice of a lime or lemon on top. Mix & allow to marinate in fridge for an hour or so before serving. Need more clean eating recipe ideas that are kid-tested & hubby approved? Click here!